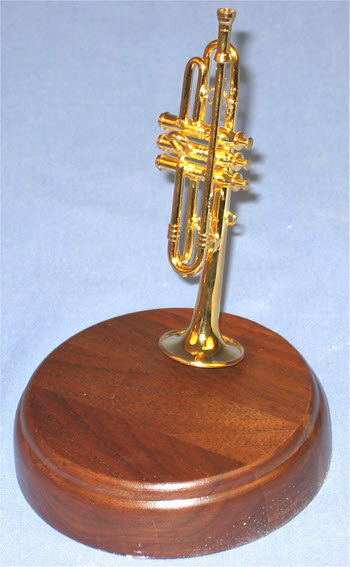 miniature trumpet on rd wood base [MIPW-007] - $32.50 : Metalcraft by Blair - military gifts and memoribilia. 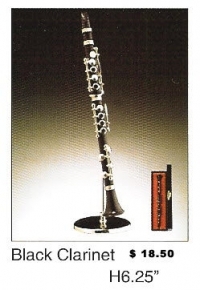 Our miniature musical instruments come in several styles. Those items ending in OR ( ex: MIOR-001 ) ( M)=miniature ,( I) = instrument, OR = ornaments, other codes ::: MIBR=brass. MIG=guitar, MIFR=picture frames, MIMB=music box. ETC:: Please familiaize yourself with these codes as they directly effect the cost of the instruments and the accessories that come with them.. Some of the instruments are wood while some are metal..